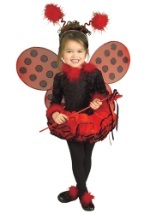 You'll never see an insect move like this girls tutu butterfly costume! 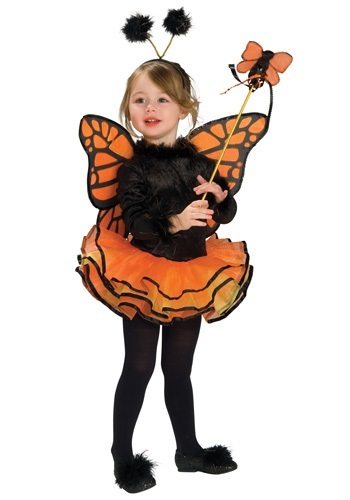 The butterfly costume includes a black polyester leotard with tutu that features a feathery black and orange trim around the neck and wrists. A Velcro clasp closes the back of the leotard to fit your child. 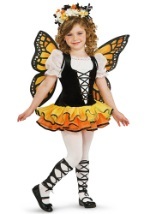 The tulle tutu skirt has orange and yellow layering with sparkling gold detailing. 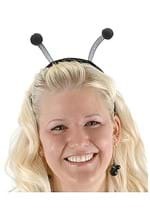 Fuzzy black antenna which you can shape to your pleasure stick out of the included headband which fits over your child's head. 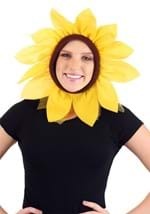 The costume also comes with butterfly wings that attach around the shoulders using Velcro snaps. The wings use a wire frame to retain their shape and feature an enchanting orange and black monarch butterfly pattern with gold sparkles. Shoe puffs which use elastic to fit around any pair of children's shoes are also included. The final piece of the costume is a butterfly wand which has a cute little cloth orange butterfly with black sequin and gold detailing. 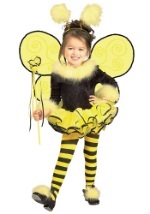 Add our black leggings for a warm and cute look on Halloween!